Halloween might be a timeless holiday, but that doesn’t mean you can still get away with a couple of jack-o-lanterns on the front porch and a fake cobweb on the front door. 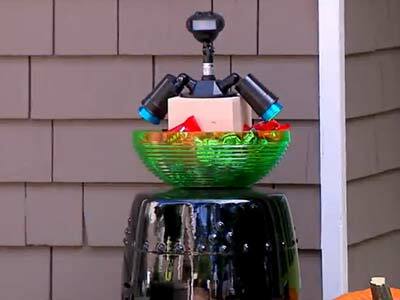 Here in the 21st century, it takes quite a lot to scare your average Halloween visitor. We’ve all seen the displays with lots of store-bought effects, and those can be scary. But you can also whip up your own haunting display with a little bit of tech on your side! Own a drone? Want to scare the living daylights out of your neighbors? Great! Make has a great series of videos that show drones being modified into creepy flying horror fests. Be sure to watch the last video to see the kids scatter! Is there anything more harrowing than a huge pair of eyes glaring at you from an upstairs window? You too can give those trick-or-treaters (not to mention your neighbors) a serious case of the willies with this scary effect. What you’ll need to achieve it: A web cam or other device that shoots video, video editing software, a DVD burner, a couple of TV screens, a DVD player, and the necessary video connection cables. 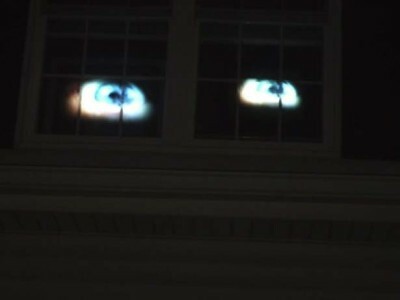 You’ll create a video loop of your creepiest eye rolls and stares, and project it through your windows. Get the step-by-step instructions on Instructables.com. The villains from the old Scooby-Doo cartoons were constantly setting up holograms to scare away meddling outsiders. Holograms aren’t just for cartoons! 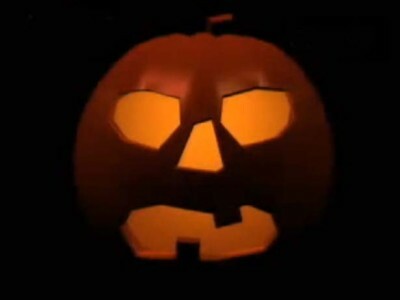 With a monitor or TV, a scary disembodied head video loop, and a piece of clear plastic, you’re ready to scare the most fearless Halloween visitor. Get all the details in this short video on DailyMotion.com.